Our faces might be new, but our commitment is age old. Everyone at Morris and Bott is here for a reason; we are passionate and honest, focused and resourceful, and above all, we have a healthy amount of integrity. We don’t believe in hiding behind job titles, we are all part of one team, charged with finding the right solution for our clients. Adam, a member of both the National Association of Estate Agents and Association of Residential Lettings Agents, is the former Sales Director of holidaycottages.co.uk; with a background of over 12 years in residential sales and both short and long term letting in Devon. 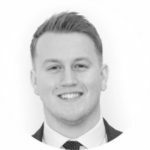 Adam heads up our valuations here at Morris and Bott and is proud to be looking after the day-to-day running of the office. Simon, the other half of Morris and Bott, brings with him over 20 years of property experience in the holiday letting, sales and residential lettings markets. 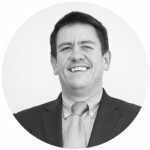 Simon would be delighted to come out and value your property and with his vast understanding of the local market offers relevant and realistic advice. He is also instrumental in the marketing side of the business. 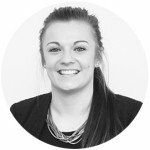 Hannah has over 6 years customer service experience and takes efficiency to a new level, ensuring that all our vendors and potential purchasers are kept up to date at every step of the journey. Also part of the original Morris and Bott team Hannah’s personable yet professional approach have ensured that she continues to achieve glowing reviews and soon turns potential buyers into friends. Ellie was born and raised in Appledore and is extremely knowledgeable about the North Devon area. 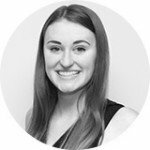 Ellie is always happy to assist you no matter how large or small the request and her strong levels of communication means that you are always kept in the loop. Her drive and enthusiasm to learn alongside her personable approach, have made her a firm favourite with vendors and potential buyers alike. 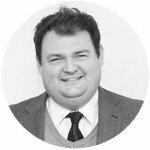 James has been active in the North Devon property market for over 7 years, handling a variety of different types of property and locations, building valuable experience and strong negotiation skills. Having grown up in Bideford, James is able to combine his good local knowledge with a professional and friendly approach, invaluable when dealing with buyers and sellers alike. If you have a property requirement give James a call.